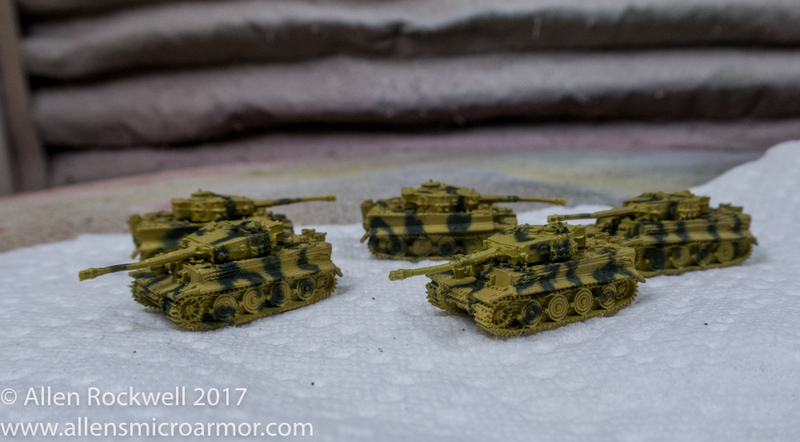 Finally got around to finishing the GHQ Tigers. It’s kinda too bad I don’t play WWII, I’m pretty happy with how these came out. Camouflage was airbrushed using the amazing Badger Sotar 20/20 airbrush. The therapeutic power of a hobby is amazing. I have been so busy with work for the last few months I have not touched any Micro Armor in as long. Just taking a few minutes tonight to throw a little paint (first of three colors) on a few minis made me feel good and remember why I do this. 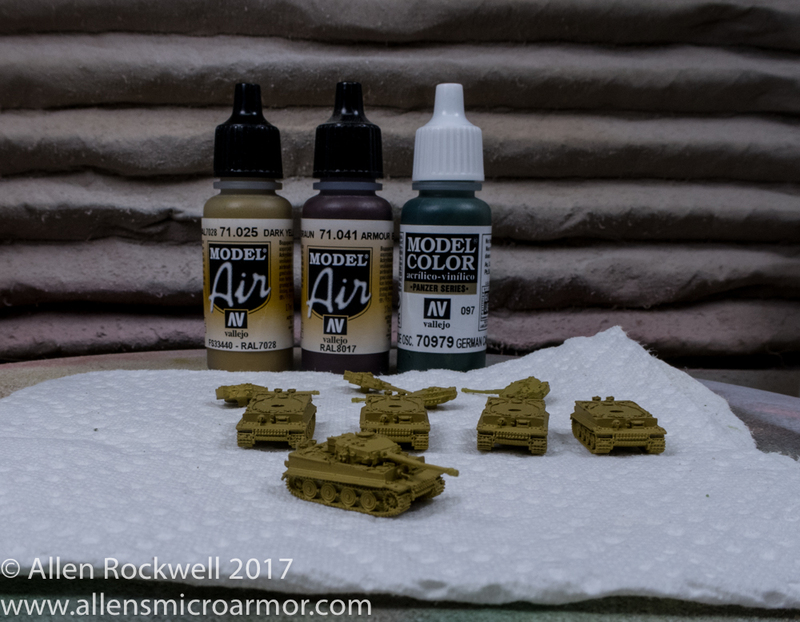 Next step (probably tomorrow) is to apply the camouflage colors, this is will be a good job for my new Sotar 20/20 airbrush.